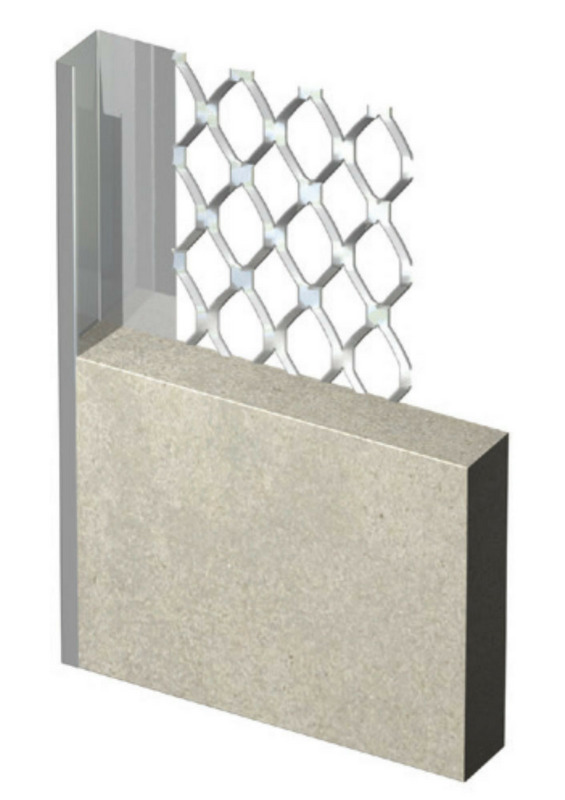 Sydenhams offer a wide rande of metal and PVCu Bead and Mesh from Expamet - the brand you can rely on. Their benefits include high levels of performance, ease of use and fast installation while meeting the complex demands of individual projects. Please talk to your local branch about your specific requirements. 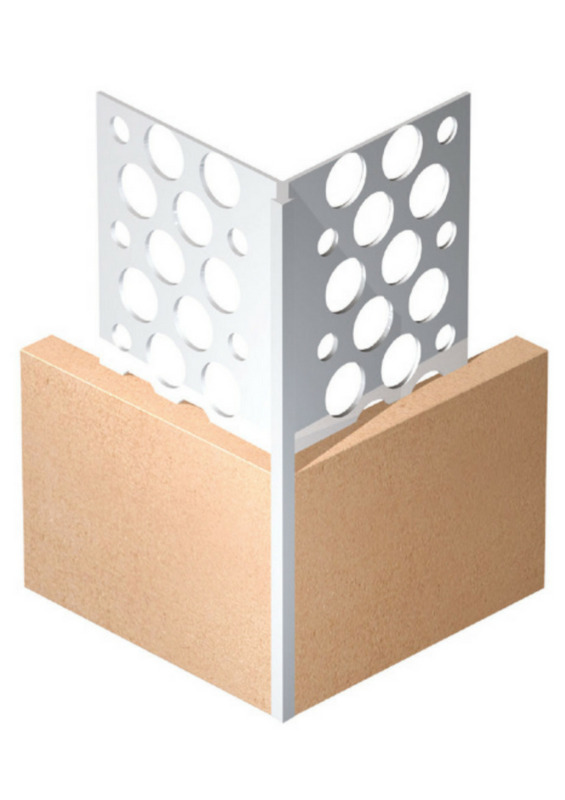 Provides a true, straight corner which protects and reinforces plaster where it is most vulnerable. 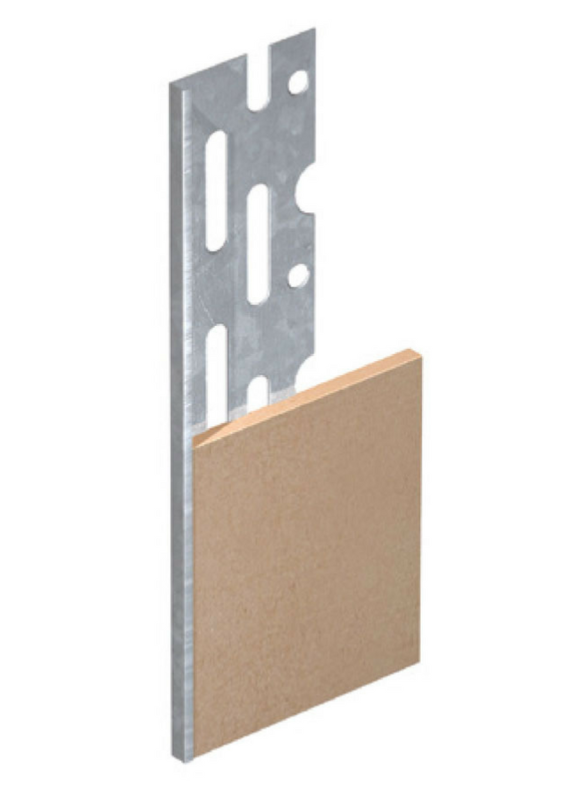 For use as a trim for plaster up to openings and abutments or where a change of substrate is required. 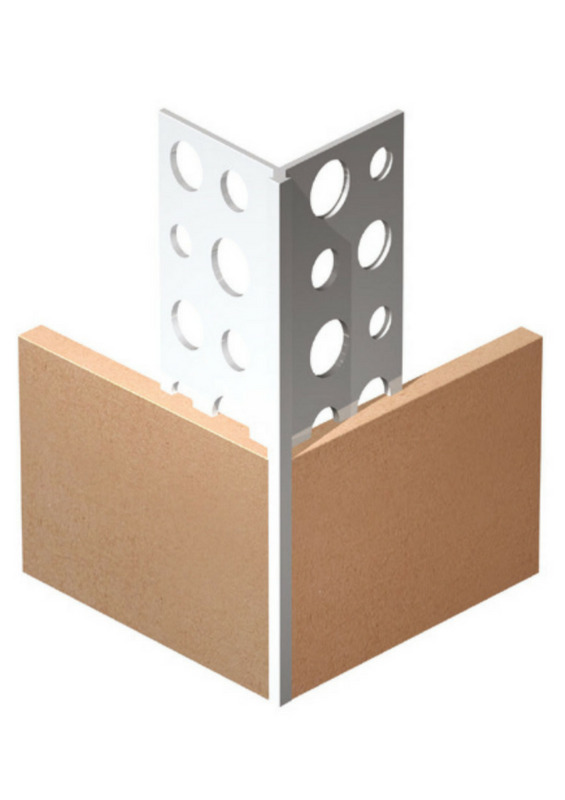 A reversible, dual-purpose bead which reinforces plasterboard edges by enclosing them in a protective steel section. 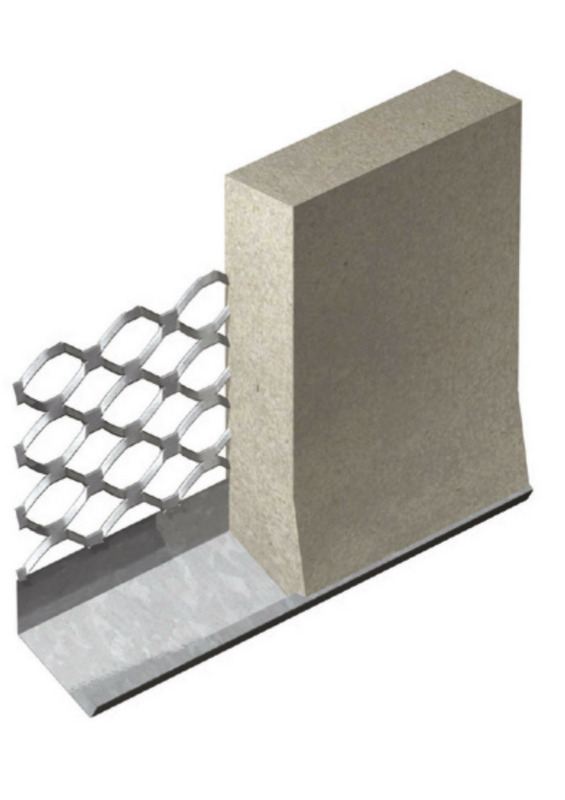 Forms and protects lower edge of render. Finishes and protects render edges. Forms and protects lower edge of render. Sheltered locations only. Plastic beads provide all the benefits of traditional metal beads with the added advantages of a light flexible material, aesthetic elegance and cost effective regulatory compliance. Choice of two colours available: White and Ivory. 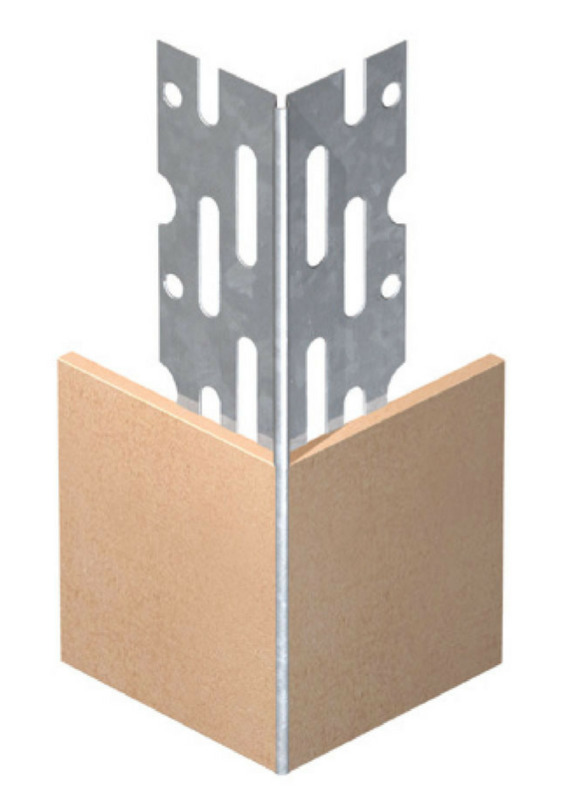 For use on all plastered or rendered corners where a true, sharp corner is required. 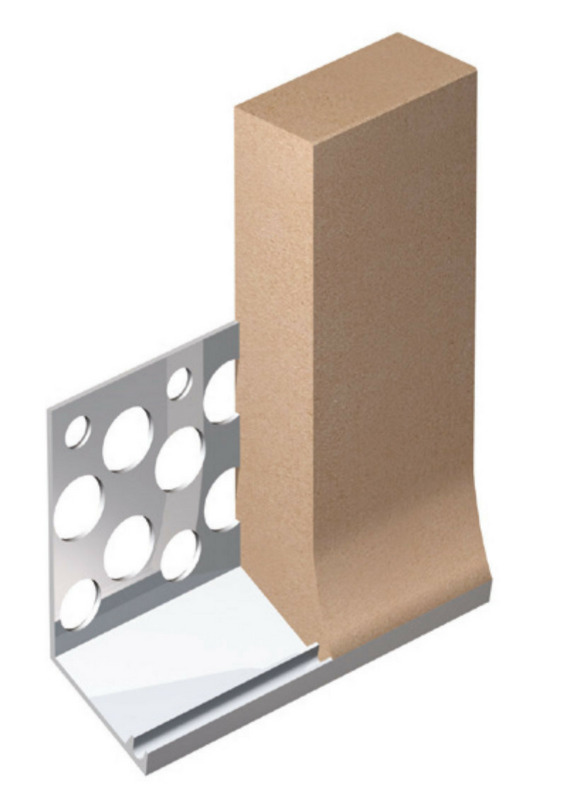 Protects and reinforces plaster where it is most vulnerable. Used where the underlying substrate changes, or where minor movement in the structure beneath the render is expected. 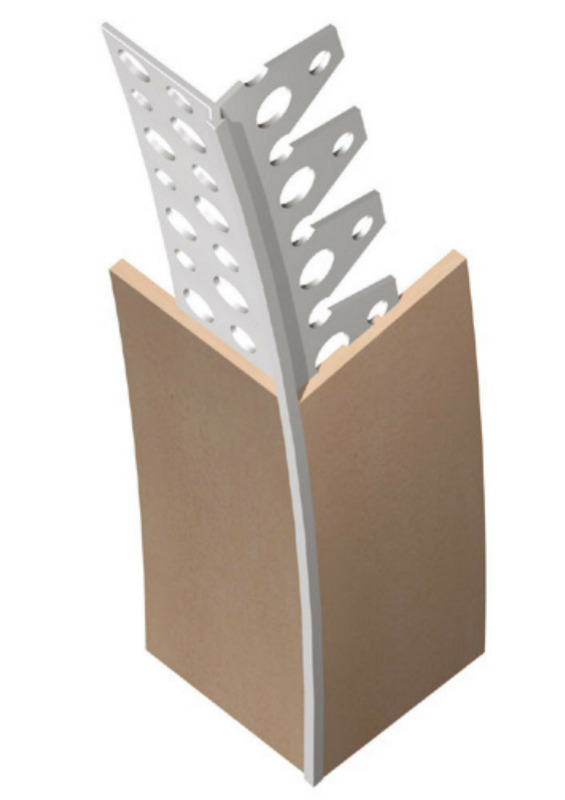 Movement beads should not be used over structural movement joints. 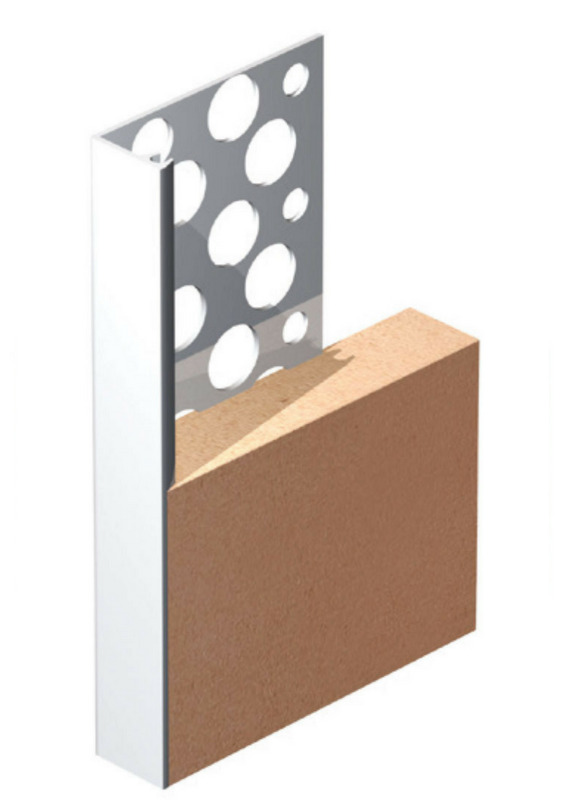 Provides a true, clean corner for plasterboards/smooth backgrounds. Protects and reinforces against cracking. Designed to deliver a clean edge. It protects and finish plaster and render edges. 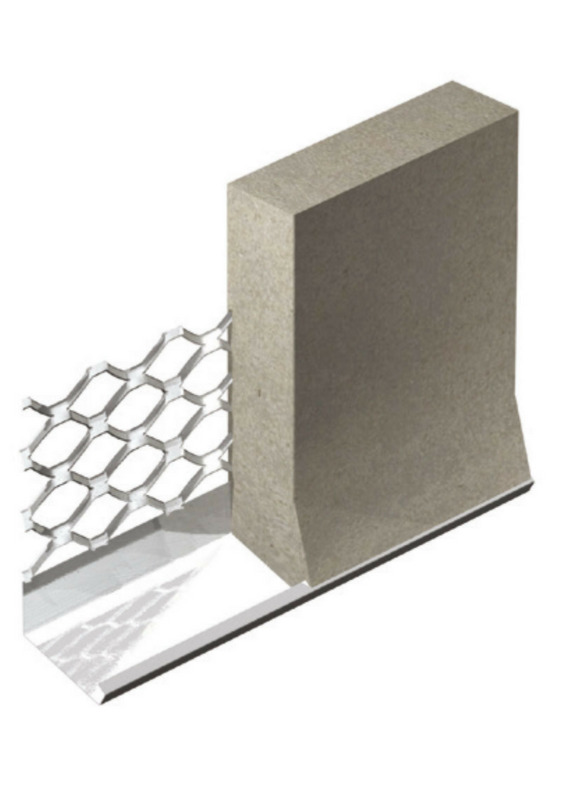 Forms and protects the lower edge of external render. 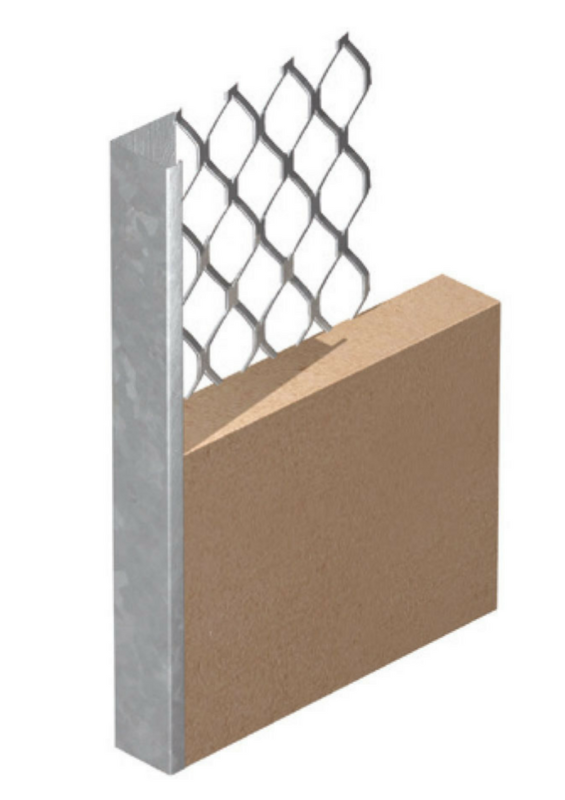 It is used above doors, windows and at DPC level. Readily bends to create curves and arch forms for decorative plaster requirements in thin coat and dry lining applications. Suitable for internal or external applications Metal Lathing is easily formed, allowing designers to create free forms such as arches, domes and vaults in a trouble-free effective manner. 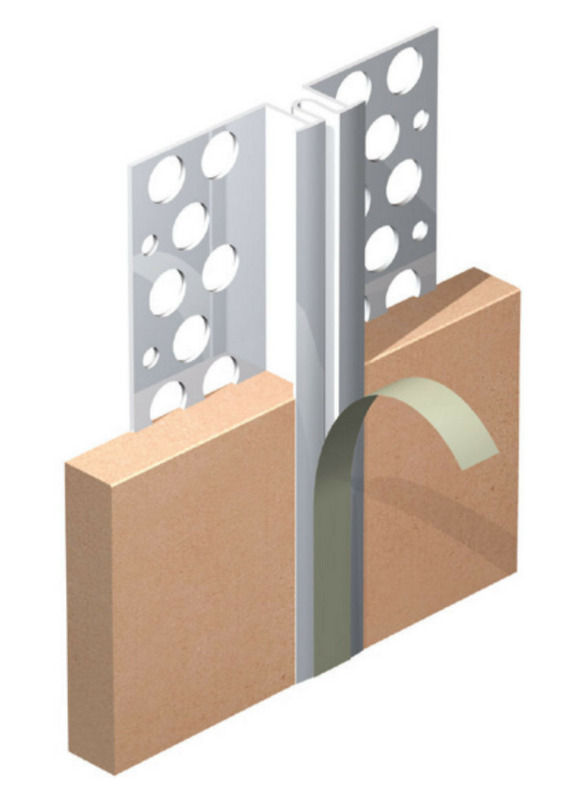 Metal Lathing can also be used as a carrier for fire protection finishes to structural steelwork. 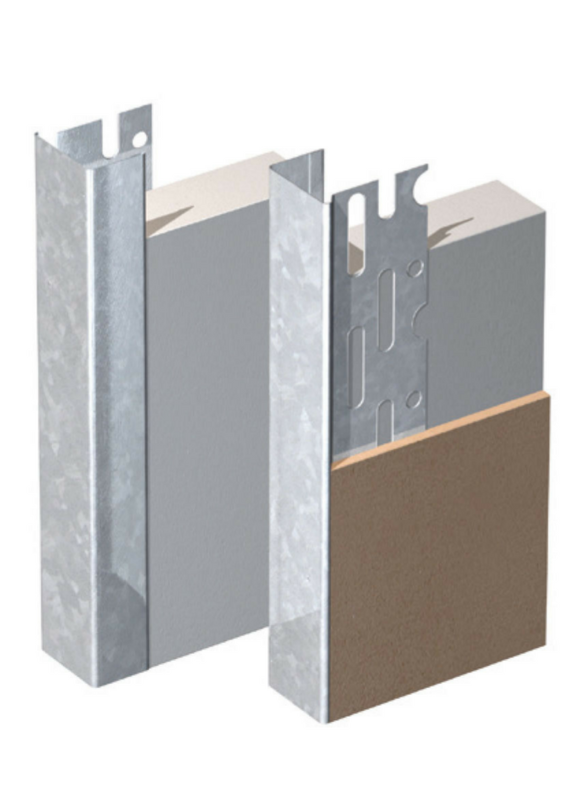 All forms provide an excellent key for plaster and render for internal and external wall finishes and suspended ceilings. 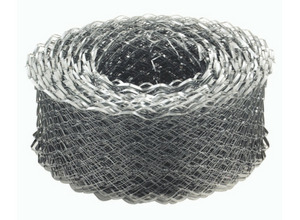 Diamond patterned mesh (Expanded Metal Lathing) for internal use. 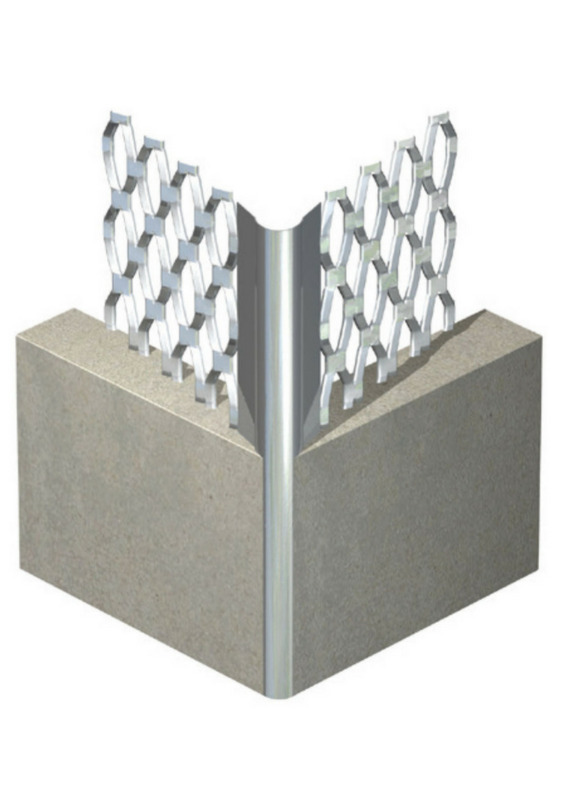 Diamond patterned mesh (Expanded Metal Lathing) for external use. 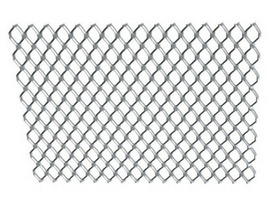 Herringbone patterned mesh with V profiled ribs (Riblath) for external use. 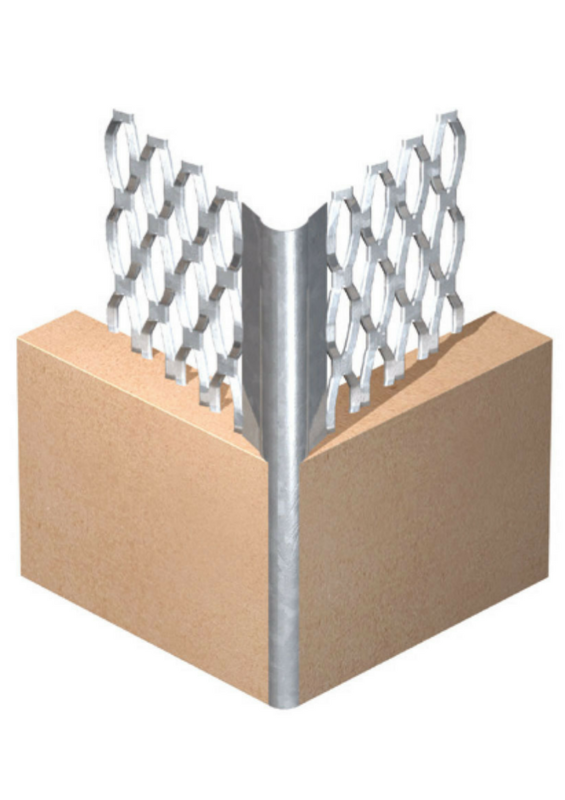 Exmet is a galvanized mesh reinforcement for internal plastering over wall chases.